Getting out of bed and being ready to smash a WOD at 6am takes some dedication. However the sense of achievement to get your workout in before most people have wiped the sleep from their eyes is an awesome feeling! Properly fuelling exercise at this time of the day is a tricky task. If you follow the correct advice you can supercharge your gainz, get it wrong and you risk feeling hungry, bloated and battling brain fog all day. Getting up at 4am to make your breakfast isn’t appealing and it is challenging to stomach a large meal before training at 6 or 7am. So there are two options in our opinion - train fasted or use liquid nutrition. Truly training in a fasted state in simple terms means not eating or drinking anything apart from water. However people often train "fasted" after drinking coffee or BCAA's. Although this is kinda true, ingesting anything with a caloric value means it is not fasted. Training in a fasted state can have some benefits. A lowered insulin response (from not eating) means that our hormones responsible for fat burning are more active. The majority of the research states the best way to train fasted is using lower intensity, longer duration exercise. Hmmmm not really what CrossFit is all about hey. So we need to employ some common sense here. It does come down to personal preference. We encourage you to trial a few of the options below and see how you get on. Using liquid nutrition (or something that is very quick and easy to digest) is something we recommend to clients with superb results. BCAA's, smoothie, protein shake, carb powders, coffee are all good options. There are a huge number of pre-workout powders and pills but we like to keep it simple at first, then you can experiment with other ingredients in the future. Using one of the smoothies on our recipe site may be an option. The coffee based ones are awesome. We use vitargo or cyclic dextrin with those that train regularly. These fast acting carbs are a great way to support training intensity and not feel wiped half way through the session. Read more about them in the supplement section. Use 30-40g cyclic dextrin with 10g BCAA before a 6am or 7am class to fuel performance. If eating pre-workout just doesn’t work for you then turning to intra-workout nutrition may help your performance and recovery. Liver and muscle glycogen stores are depleted overnight and if you train in a fasted state, your body can start to use muscle tissue as an energy source. This is not a good idea whatever your goals are! Consuming amino acids at the start or during your workout can preserve your muscle and boost your recovery. CrossFit can be challenging to get intra workout nutrition in so focusing on nailing the basics of pre and post is crucial. Again we can use a Vitargo or cyclic dextrin with the aminos to provide some fuel for the session. Hydration is often overlooked when we discuss nutrition. As little as 2% dehydration can cause a drop in performance and 5% losses can result in a drop in work capacity of 30%. A large glass of water upon awakening and then sipping on water at intervals during your session is recommended. Pop an electrolyte tablet in if the workout makes you sweat. This is a crucial time of the day if you train in the morning. You haven’t supplied your body with that much food and you have just smashed your workout, your body is going to need refuelling. If you have trained in a fasted state then post workout nutrition becomes more important. You really need to be consuming some form of protein and carbohydrates within 45 minutes of finishing the session. We want to limit fats and fibrous vegetables in this meal to ensure we are not slowing digestion down. If you have consumed something pre workout then we still recommend consuming something within 1 hour. Now is the time not to be scared of those carbohydrates. However our RULE OF THUMB IS YOU HAVE TO EARN YOUR CARBOHYDRATES. As with all nutrition advice it depends on certain factors such as the intensity of the session, your goals, what are you doing for the rest of the day etc. Use the calorie calculator to give you a starting point of what and how much to eat. Most of our clients have great results from eating a carbohydrate based meal in the evening before a morning session. THIS IS A GREAT METHOD TO EMPLOY IF YOU ARE TRAINING FASTED. This ensures muscle glycogen levels are optimal so you can blast your way through the workout. Furthermore this can also be extremely beneficial in inducing healthy sleep. Use pre workout liquid nutrition if solid food doesn’t work for you. 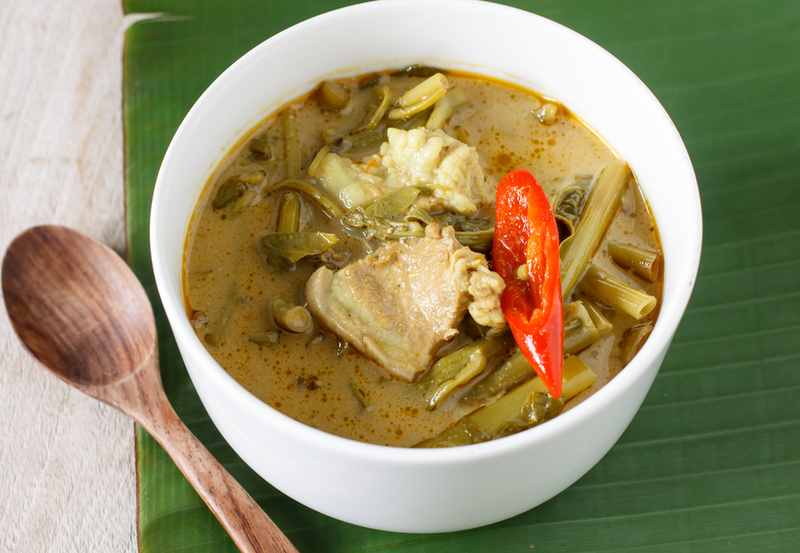 Our recipe section will provide some awesome recipes for pre and post workout. 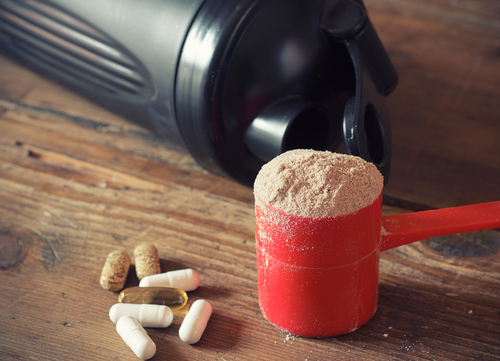 Check the supplement section for advice on carbohydrate powders. Take advantage of increased insulin sensitivity and get a protein and carbohydrate rich breakfast in within 45 minutes of finishing class. When training during the day you have the perfect opportunity to fuel the tank! One of the best things you can do is “find what fuels you best”. When we speak about daytime training we mean sessions anywhere from 10.30am - 3pm. Daytime training is the perfect opportunity to fuel the tank and really maximise the stimulus of training. We want to make sure you are eating something so we don't advise to fast until midday and train. Here is some advice dependent on timings. 10.30am session - Eat breakfast at 7.30am - ish. Follow the meal suggestion in your plan aligned with your goal. 12.30pm session - Eat breakfast at 7.30am - ish. Then have your snack at 10am - 10.30am. Follow the meal suggestion in your plan aligned with your goal. If you are training in the afternoon then follow the meal suggestions with your lunch effectively becoming your pre workout meal and the snack is your post workout. This is the beauty of having structure - we can adapt the plan and make small adjustments opposed to winging it! No need - just make sure you are hydrated. Post workout nutrition is similar to other training times - if it is an intense session then we prioritise carbohydrates and protein. If you train in the afternoon then there may be that twilight zone between post workout and your evening meal. A snack isnt going to suffice - so we need to have some common sense here. Move some of the calories from dinner to the post workout meal - make it almost 2 meals but balance your intake. Or make your lunch slightly smaller and eat some of this in the post workout meal. For longer sessions it may be worth eating more beforehand. For short and sharp sessions save more for after. Play around with a few different options and find what fuels you best. One meal for morning session - one meal plus a snack for midday. Play around with meal sizes if training in the afternoon to avoid overeating or going long periods without eating. No real need for intra workout nutrition. Feel free to adjust meals if you want to eat more carbs in the evening. Whats the best time of day to train? WHENEVER YOU CAN! Training in the evening has some benefits over morning training in that it allows for time for us to be in a fed state fror training, but it also has a number of potential issues. What should I eat pre workout, should I change my evening meal if I didn't train that hard, what should I eat if I don't finish until 8pm. WE KNOW ITS A BLOODY MINEFIELD! Click on each tab to read about the different considerations, align it with your lifestyle and training and use the take home points. Evening training gives us the perfect chance to really find what fuels our sessions most effectively. However too often we see individuals eat lunch at 1pm and then not eat until after the session or grab something on route to training. Whether you training starts at 6pm or 9pm you need to ensure that you are fuelled adequately for the session. Remember you are providing your body energy for work NOT just training. It obviously depends on your goal as to WHAT you are eating. However we still advocate eating something around 2-3 hours pre training. Going long periods without eating at this time of the day is a sub optimal way to maximise the stimulus of your CrossFit session. ENTER THE MID AFTERNOON MINI MEAL. Using a mid afternoon “mini meal” will help in three ways. The make-up of this mini meal depends on your personal goals, training type and volume. The macro - calculator can detail how much you should be aiming for. The reason for making this a mini meal is snacking is often mindless and doesn't serve a purpose. It is too easy to overeat snack foods and not be satiated after eating. 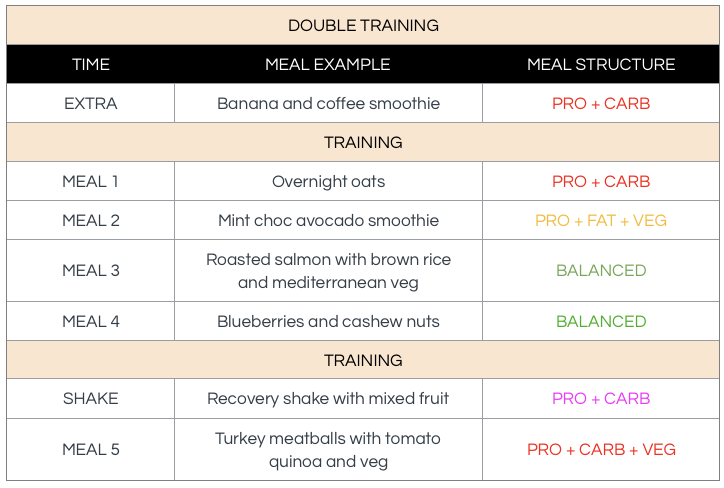 Planning this meal will provide structure to your nutrition and allow you to adjust in the future depending on how you feel during different sessions. If you do get caught in a meeting and 1 hour before the workout feel that hunger pang then liquid nutrition or something that is easy to digest is advised. Emergency snacks such primal pantry protein bars, a dry mix of protein + oats (mix with some water and eat on the commute to the gym), some nuts and seed mix, a banana with a rice cake and a little nut butter are all good options. Other options such as a 6 pack of sushi or a pre made smoothie are excellent fuel for your session. As you can see it is about preparation. Use the recipe section to provide ideas. If you have a few that work for you tag us in them or share on the group. With evening training intra workout shouldn't be "needed". If we have followed our nutrition guide over the day, eaten at regular times and stayed hydrated then taking intra workout fuel is not required. Water only. If you are using a BCAA then ask yourself why. Is your training over 2 hours long? Are you a Regionals or elite athlete training 16 hours a week? Save your money. Eat real food pre and post workout and watch your performance skyrocket. If you feel you NEED a BCAA or pre workout then we need to adjust your intake over the day and / or the pre workout meal. Being unprepared so end up grabbing something quick (and usually not conducive to optimal recovery). Using quick cook packets of food such as lentils and quinoa can save time. Add in veggies and some cooked lean meat and you have a meal in under 10 minutes. Should I be taking a post workout shake? We have all been there...so pumped that we PB'd and crushed the WOD. We get home and eat and then head to bed only to stare straight at the ceiling for hours! If you struggle to sleep in the evening after a session here is some advice. When you exercise there is an increase in cortisol, which is vital to provide energy for your workout. However, the normal circadian rhythm is for cortisol to be at its lowest point in the evening (when we are now exercising). This can play havoc with sleep patterns. Alongside causing a disruption in hormonal balance. As shown by the image we want melatonin to be elevated and cortisol suppressed. Performing CrossFit in the evening can basically flip this. Additionally blue light (phones and computer screens) can suppress the release of melatonin. So what are we going to do about this?! Luckily specific foods and nutrients can balance hormones and neurotransmitters that have been either elevated or suppressed during evening exercise. Being smart with your nutrition can help to lower cortisol post workout, enhancing recovery and leading to restful sleep. Whether it is actually nodding off, or the actual quality of the sleep, it is crucial that we align our nutrition choices to support this. The importance of good sleep cannot be underestimated for repair and regeneration. The effects of poor sleep can seriously impair your progress..
Foods that will help achieve this include carbohydrates. Yep thats right we said it – eat carbs in the evening! Why? You have just smashed your body through a brutal WOD, it is primed to absorb carbohydrates to replenish glycogen stores. This is essential if you are training the next day. Carbohydrates will also lower cortisol levels due to insulin secretion. The consumption of certain foods that increase the availability of tryptophan, alongside synthesis of serotonin and melatonin, will aid in promoting sleep. Eating some protein containing Omega-3 fatty acids is also recommended. I don’t need to tell you the importance of protein for muscle repair, but eating quality protein in the evening can also increase serotonin levels. Omega-3 fatty acids have been shown to reduce cortisol, boost growth hormone and lower the inflammatory response from exercise. The last thing you want to be doing is eating foods that heighten the inflammatory response. Foods that are deep fried or high in refined sugar should not even be on the radar. DO NOT LISTEN TO ANYONE WHO SAYS YOU CAN EAT WHAT YOU WANT AFTER YOU HAVE TRAINED. REFUEL YOUR BODY WITH QUALITY! Take food to the gym and eat after showering / stretching. This way you don’t feel like you get home late, eat then go straight to bed. For those that train twice a day a few areas become a little more important than one a day sessions. We also have to have the flexibility with our plan for some additional calories. Nutrient timing becomes more of a priority. We want to ensure you are REFUELLING from the first workout and FUELLING for the second. Click on each tab to read about the different considerations, align it with your lifestyle and training and use the take home points. There are numerous ways to manipulate your nutrition to utilise the second session in a different way. Increasing mitochondrial biogenesis, targeted body composition, practicing competition day fuelling are just some of the things we can cover in personalised nutrition coaching. When performing a double day some of you may train in a fasted state first thing, mainly due to timing of getting the sessions in. If you are looking to strip a little bit of excess body fat then this is great. If you are wanting to stack on some muscle or the session is heavy lifting / high volume then taking something pre wokrout is advised. Again some vitargo / cyclic dextrin with 15g protein is really easy to digest and can provide a boost for training. Other suggestions include a making a smoothie up and having a few sips pre and the rest post. The recipe site will provide these. Caffeine? Yep defo get that coffee in you. Caffeine is a proven ergogenic aid so we can use a coffee if training fasted or not. Further detail you can follow the advice for morning training sessions. CrossFit training makes it very hard to think about taking an intra workout. However if the session is to be longer than 1 hour then adding some BCAA with some cyclic dextrin may help push towards the end of the session. Actual solid food intake should be avoided and saved for post workout. A crucial meal if a double session is on the cards. We want to prioritise those carbs again! Regardless if we have trained fasted or not we want to REFUEL from the first session and kick start our recovery ready for the 2nd session. Phase 3 - 90 minutes - 3 hours - Solid meal - PRO + FAT + VEG MEAL / SNACK. You can see that you don't HAVE to include a shake post workout if you able to eat within 45 minutes or you have taken in PRE workout nutrition. If training fasted then the timings become a little more important.